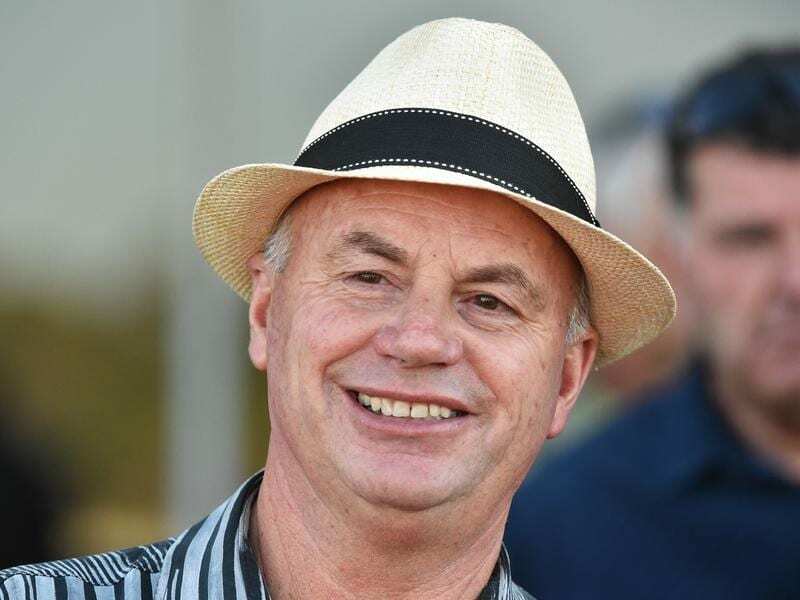 Cranbourne trainer Doug Harrison is enoying a successful run and hopes it continues at Sandown. Cranbourne trainer Doug Harrison is hoping to stretch his recent form into another city double at Sandown. Last week, Harrison combined with his nephew Craig Williams to record a Sandown double then with Stephanie Thornton for a winner and narrow second at Sale on Sunday. Harrison and Williams team again at Sandown on Wednesday with stable debutante Miss Biddy and Argyle Belle. Miss Biddy runs in the Spicer Thoroughbreds Handicap (1200m) and came to Harrison’s stable on the recommendation of Tasmanian trainer Gary White. White is a friend of Harrison’s brother Tony and when Miss Biddy’s owner-trainer Max Cowen wanted to race the mare on the mainland he sought White’s advice. “Luckily he picked us,” Harrison said. “I think he was having trouble with riders over there and he’s sent her over here hoping she can measure up to some handy mares races. “The way the Tasmanian horses have been going, hopefully she can keep the form going. “She’s been with us about a fortnight. She’s had a couple of gallops and appears to move along nicely. First-up this campaign, Miss Biddy was beaten a length by All-Star Mile winner Mystic Journey and also has form around recent Sandown and Cranbourne winners I Remember You and Savs Finale. “It’s a small field on Wednesday, an even field, but I think we can get a bit of a line on some of the horses she’s raced against that have run well over here,” Harrison said. Harrison expects the 2400m of the Yulong Handicap to be beneficial for Argyle Belle. After she won over 2400m on February 27, Harrison outsmarted himself when he dropped the mare back in distance and she finished fifth at Sandown on March 20. “I dropped her back to 2100 metres and went up in grade looking for some weight relief as she’s not very big,” Harrison said. “But all the topweights didn’t accept and the weights went up.